If a clandestine AT&T source proves reliable, it won't be long until consumers are finally able to get their hands on Nokia's Lumia 920 or Samsung's Galaxy Note II. 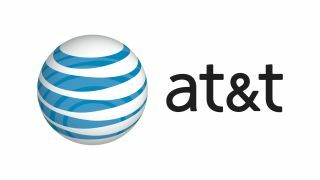 BGR is reporting a source close to AT&T said the cellular carrier will debut both smartphones on Oct. 21. In case you were wondering, that's exactly one month after the iPhone 5 is set to debut in nearly 30 countries. Despite neither phone coming with a price tag attached as of yet, that doesn't mean Nokia and Samsung aren't expecting big things from their respective devices. Samsung is betting big on their Galaxy Note II, and they believe their latest device will outsell its predecessor. JK Shin, Samsung's head of mobile, was even so bold as to suggest the Galaxy Note II would sell 20 million units. That's double what the original Galaxy Note managed to sell. Though Nokia is also hoping their Lumia 920 will move a lot of units, they may have to temper their expectations just a bit. Any hope Nokia had of the new Lumia's success may have been marred by their recent admission of guilt in the doctored footage scandal that has plagued the Windows Phone 8 handset's debut. TechRadar reached out to AT&T for comment on the release dates and potential pricing, and will update this article if and when information becomes available.